Not all clients will receive 49¢ commission rates. Accounts requiring broker assistance will be charged a higher rate. We offer both free platforms and platforms that have a monthly fee. Exchange, regulatory, and routing fees apply. Trade Grains, Currencies, Metals, Financials, Indexes, Softs, Energies, Livestock, and some Foreign Futures Markets. Real-time futures quotes, superior trading platforms, and flash fills! 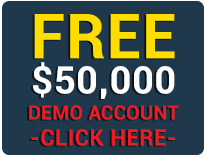 Low $500 E-Mini day trading margins for qualified accounts. Most trading software is provided free with no monthly fees! Very low commission rates and outstanding customer service. We specialize in emini futures and commodity trading. - Open Account Now Online Free Investor Trading Kit Click Here To See What Clients Receive! Pro E-Mini is a commodity futures broker that provides discount and full service futures and options trading on almost all futures and commodities markets. The futures brokers at Pro E-Mini understand that selecting a capable futures broker is an important decision and strive to provide the best possible service at very low rates. If you have any questions, feel free to contact pro e-mini and speak to a commodities and futures broker. Discount Trading is a broker that caters to high volume traders. *Commission rates do not include standard exchange fee, and regulatory fee. All rates are quoted per contract / per side. The risk of loss exists in futures trading. Commission of 49 cents does not include standard exchange fee, and regulatory fee. Copyright © 2019 Pro Emini Futures Broker. All rights reserved.